It is very unusual for me to be in the caravan on my own. When we got our first van Lynnie insisted I spend a night in it close to home to make sure I knew how it worked before she joined me. Occasionally whilst staying at Cholsey Grange CL I have been left for a night or two whilst Lynnie visited our daughter Lolly who lives nearby. But this is a first; a whole trip on my own! Actually to be more accurate it is Crosby and I away on our own. 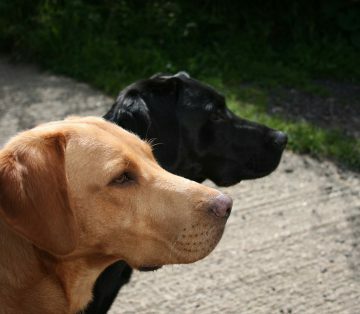 Lynnie and Dexter have stayed at home whilst we plan to get some good long walks in. 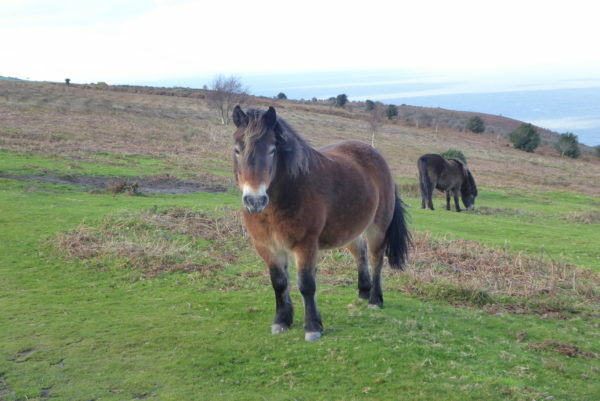 Blog readers will know that the Quantocks and surrounding area is one of my favourite spots, so I am heading to Somerset, an area I know well. 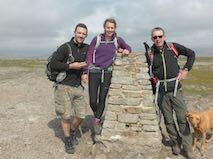 But on this trip I plan to do some new walks as well as a couple of favourites. 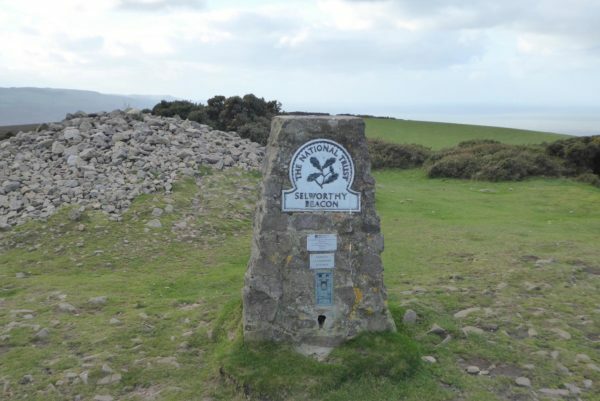 The starting point for today’s walk is Minehead. When we lived in Taunton this was reasonably close, but the thought of escapees from Butlin’s running loose in the town put us off. However, in more recent times I have made a couple of out of season brief visits and it is a delightful place. 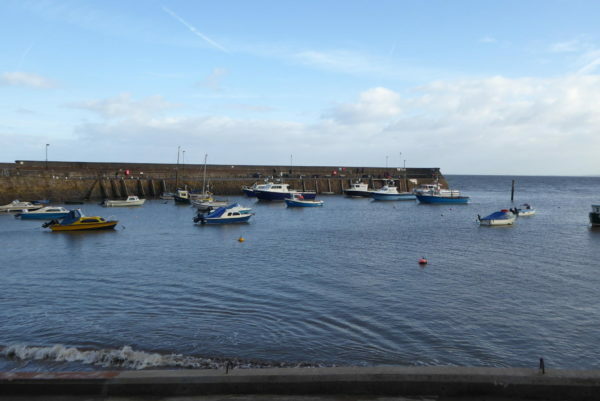 I park close to the seafront and head towards the harbour. This is not the view you normally associate with Minehead. Carrying on past the Old Ship Aground pub I head along the coast path. Then as the road comes to an end, at a turning point, I take a path on the left traversing the side of the hill as it heads towards Culver Cliff. 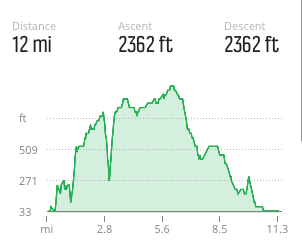 After a while I double back on a path that continues to climb steadily across the hill and then turn right to follow a path towards the top of Beacon Hill. Emerging from the trees the path continues uphill and after this steady climb I am rewarded with some cracking views back along the Bristol Channel. The footpath is clearly marked as it crosses a couple of fields before reaching woodland again. It would be easy to stop here and admire the view, but I have a few miles to cover and need to press on as I head to North Hill. 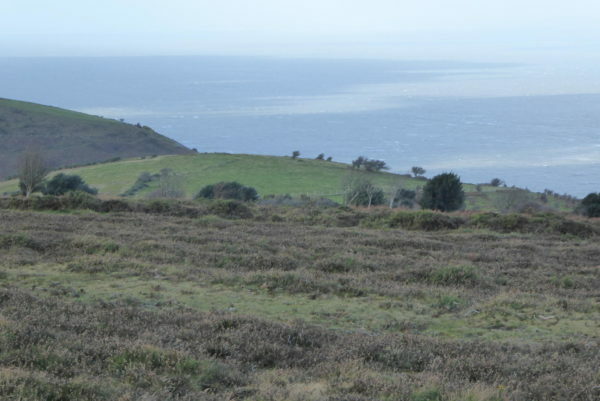 During World War II North Hill was requisitioned and local farms evacuated so the area could become the Minehead Armoured Fighting Range. It is not long before I start to see signs of the construction that took place to enable the tank movements and the strategically placed Radar Station. This station was built in 1942 and formed part of a network of 244 similar stations across the Country constructed between 1937 and 1944. The purpose of these stations was to plot the German Luftwaffe aircraft and guide British pilots. 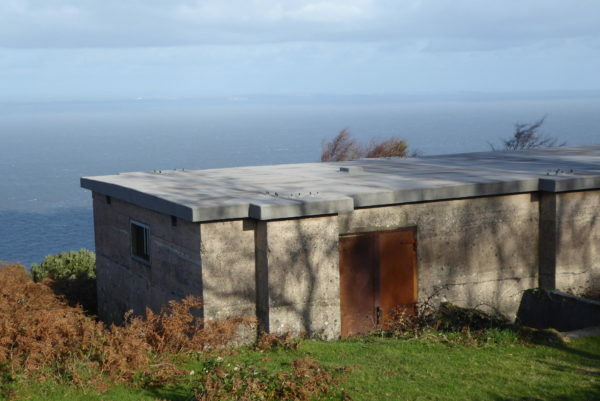 During World War II Lynnie’s mother was stationed in a unit like this in South Devon. 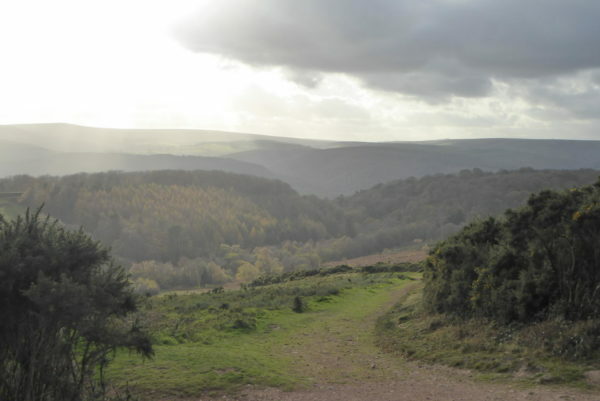 The path emerges from the trees onto open moorland and I keep going until I reach the head of Burgundy Chapel Combe where I take a detour, turning right and heading down hill towards the remains of the chapel. The path soon becomes steep and I have to tread carefully to ensure I have a firm footing. 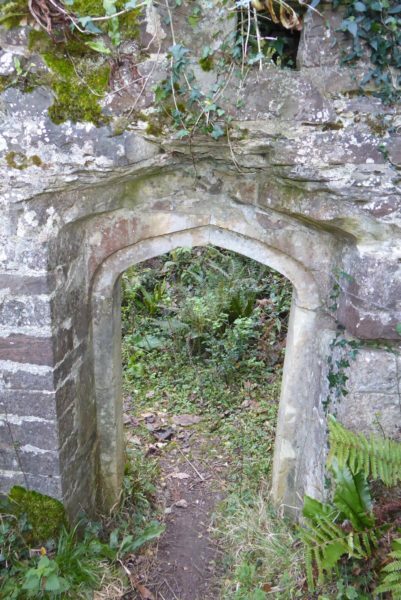 Eventually I reach the remains of the chapel. 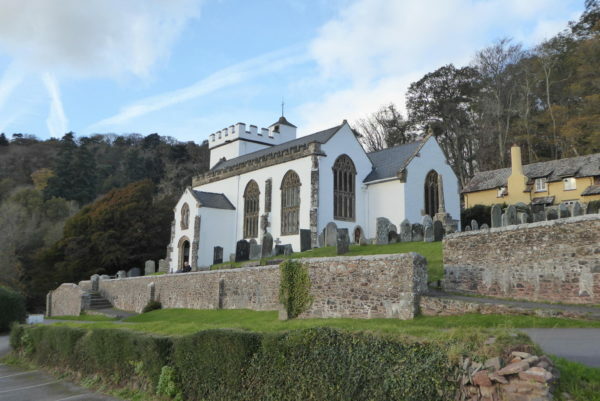 Not much is known about the history of this medieval place of worship, however, it is thought to have been built in the 15th century by The Luttrells of Dunster Castle in thanks for a family member returning from Burgundy, following the Hundred Years War. Whatever the history it was built in a very remote location on the cliff edge and only measures 25 feet by 16 feet. Now only a few bits of wall remain and an old doorway, which is very low, so I assume it was designed for people who were a lot shorter then me. After looking around the chapel I am faced with the ferocious climb back up the combe. Surprisingly this is a lot quicker than coming down, but it is a relief to get to the top and stop to take in the view whilst catching my breath. Soon I am heading west again along the broad path and then at a junction of paths take a left turn to walk up to the view point at North Hill. It is a cracking day but there is a chill to the wind so I seek shelter here and stop for a sandwich. There is no one else about and it is a stunning spot to sit for a while. Resuming my walk I head back to the main southwest coastal path, this route takes the path heading slightly inland as opposed to the option that hugs the cliff line. After going through a gate and crossing a pasture I am on a gorse lined grass track. The gorse is in flower, which of course signifies the kissing season, but my only option is to kiss Crosby so I decide to give it a miss. At a junction of paths I double back on myself and follow the path up to Selworthy Beacon. The Ordnance Survey trig point here is the thirty-ninth that I have “bagged”. 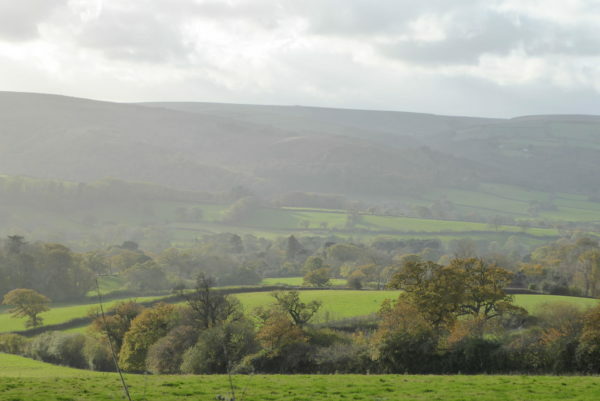 The views from here on this autumnal afternoon are wonderful but it is decidedly chilly so I don’t hang around too long and continue on the path heading east and after crossing the minor road take a path that leads down into Selworthy Combe. 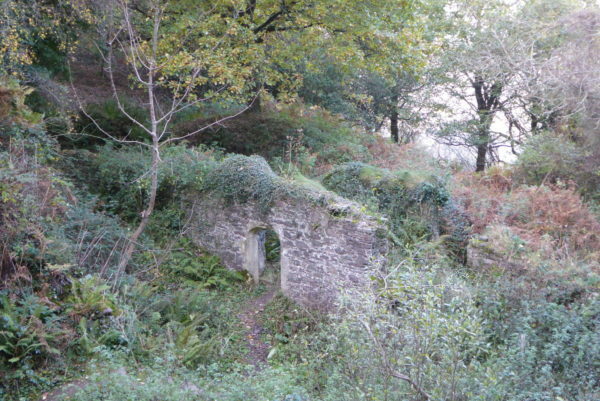 The path gradually descends through woodland to reach the village of Selworthy, close to the impressive 15th century white painted All Saint’s Church. 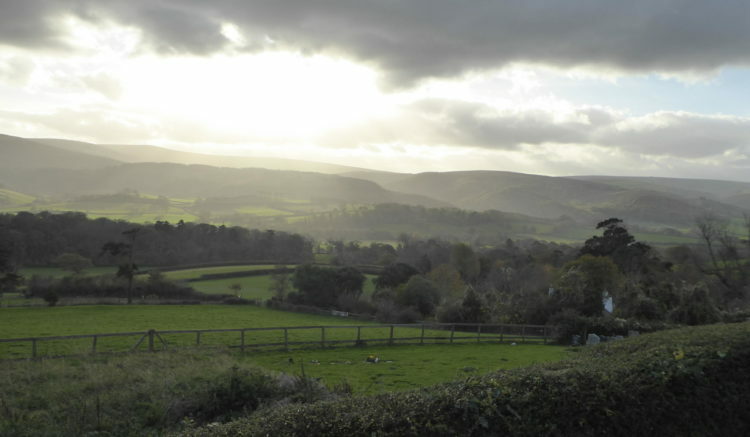 The view from the church car park across to Dunkery Beacon is amazing. 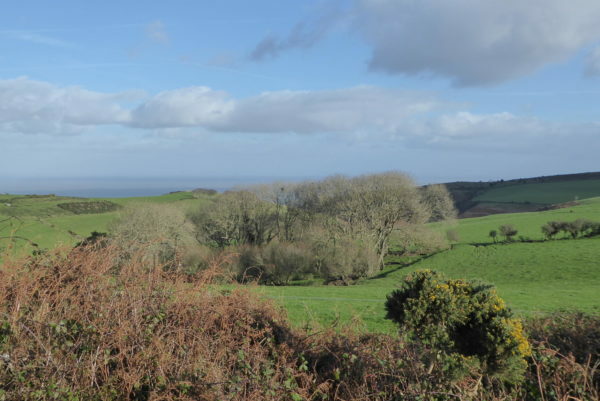 I now follow the road east carrying straight on at Dean’s Cross and then as the road turns to the right I continue straight on along a footpath besides Little Headon Plantation. I emerge from the woodland and cross pasture, in front of me is the distinctive view of Butlin’s holiday camp in Minehead. The path turns left across another field and then reaches a minor road where I turn right and soon pass Bratton Court and continue east to enter Woodcombe on the outskirts of Minehead. Here I leave the road to enter parkland by the Bratton stream. This route known locally as the Parks walk was first laid out in the 1920’s and linked Woodcombe to Minehead. 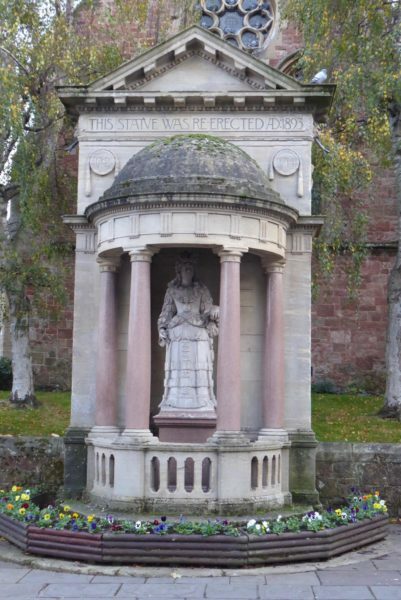 Arriving in the centre of Minehead I stop to look at the statue of Queen Anne, this was commissioned by the local MP Sir Jacob Banks in 1719 and was originally sited in the nearby St Michael’s Church but was removed during restoration in 1880. The plan was to relocate it in the Town Hall, but following public subscription, what we would now call crowd funding, a canopy was constructed and it was erected in its current site in 1893. 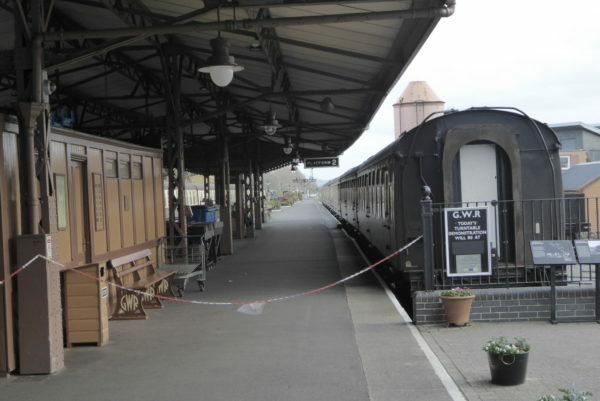 I wander through the town and before heading back to the car decide to pay a visit to Minehead station and West Somerset Steam Railway. This line was originally built in 1874 to link Minehead with Watchet and the main line station at Taunton. The line closed in 1971. 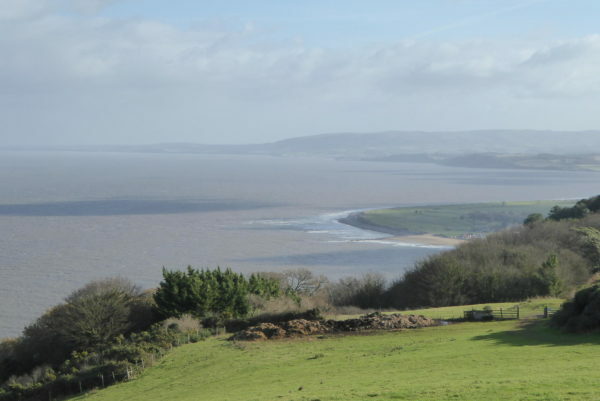 By 1976 parts of the line were reopened between Minehead and Blue Anchor and over the years the service extended to link Bishop Lydiard (4 miles north of Taunton) with Minehead. A total of twenty miles of track. Despite having previously lived in Taunton I have never been on this railway line, it is something Lynnie and I have discussed many times. Perhaps we should make the trip next time we are in the area. It is just getting dark as I return to the car, my jamabout has covered twelve miles so time to head back to the caravan and plan with Crosby where we will head tomorrow.